If you're like most online entrepreneurs, web hosting really doesn't interest you unless there's a problem that shuts down your website, e-mail, web analytics, etc. However, that could be a mistake given all that rides on the stability and performance of this most crucial of online business-related services. Unlike its humble and somewhat geeky/techie origins when 'Mom and Pop' web hosts and academia ruled the scene, today's web hosts are sophisticated businesses with several of them achieving mainstream notoriety in the past decade. As such, the industry's maturity has been accompanied by a number of issues and increased scrutiny like no other time in the digital communications era. Many of us are web-hosting customers who host our own websites, and increasingly it seems as though we aren't getting the satisfaction from the companies we entrust to handle our online presence. Needless to say, this can have a negative or even catastrophic effect on our ability to perform as entrepreneurs, and consequently our business reputations (company brand). Proactive online entrepreneurs always know what web hosting services they are paying for, no matter how technical the details are. For those just starting out and veteran Internet marketers alike, here are several of the key issues to focus on when dealing with a web host. These days, third-party automation tools like cPanel and others rule the market and have been instrumental in expanding the web hosting market in the World Wide Web (WWW) era. Accelerated standardization across the industry means that a reputable service should be able to walk you through the basic operations and point you in the right direction should you need to upgrade or use more advanced options or need specialized services, such as an optimized Wordpress hosting account. In most cases, you can start with the lowest-tier plan and continually upgrade your web hosting account as your traffic and data needs grow. Most web hosts have the ability to accommodate customers from a very inexpensive low-tier "shared hosting" plan to a private, dedicated server. Most hosting companies offer either Linux (Apache) or Windows-based servers to house your files. 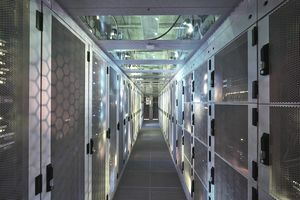 The vast majority of customers share space on these servers, although other options like virtual private servers, virtual private network (VPN), dedicated servers, and dedicated IP exist for medium and larger-sized businesses. Most reputable web hosts all follow industry standards and best practices and you really don't need to know about or worry about these ultra-technical details of web hosting. One thing to note, you don't have to get your hosting account at the same place you buy and register your domain name. As an example, many people will purchase their domain name with GoDaddy but then host their website with another web hosting company. Of all the things to be concerned with, customer service is probably the most important thing to consider when choosing a web host. As technology across the board becomes more and more standardized, web-hosting companies must increasingly compete on the basis of its customer care quality. You as a business owner should leverage this knowledge to demand the services and attention you deserve. Price is increasingly being superseded by customer service as a deciding factor to stay with a web hosting company. Hosting companies that offer 24/7 customer support (such as Bluehost and GoDaddy) are going to be the winners. Smart databases, forums, and ticketing systems are good supplemental services, but there is no substitute for being able to pick up the phone at any hour of the day and talk to someone in the event of a website emergency. At the same time, be wary of overselling, e.g. the promise of unlimited bandwidth and other goodies that sound good but may, in fact, be totally irrelevant to your needs. The safest way to test the waters may be to opt for a basic, one-year plan without any bells and whistles. Linux-based servers should be good enough unless you have Windows-specific demands (e.g. SQL Server, .NET frameworks). Choose a package that satisfies your security, e-mail marketing, and e-commerce requirements. Estimate your growth over the short to medium term, and look for a plan that offers a type of tiered growth without necessarily having to upgrade right away. Again, most of the major web hosting companies have dedicated sales teams that can talk to you about your needs and recommend an appropriate plan for the level that you are at right now - with the option to upgrade your web hosting services as your business grows. Web hosting is paradoxically simple and complex. Any number of well-known and not so well-known companies can satisfy your online web hosting needs as you start out with your business and grow it. With so much competition and noise in the web hosting marketplace, you'll want to ask for personal recommendations and seek out online reviews before deciding where to entrust your web hosting needs. Ultimately it's highly recommended that you avoid a "mom and pop" type web hosting company and stick with a more well-known company that has the resources to offer 24/7 customer support and the ability to support your hosting needs as you grow your online business.